How quickly things change from one day to the next in mixed martial arts. 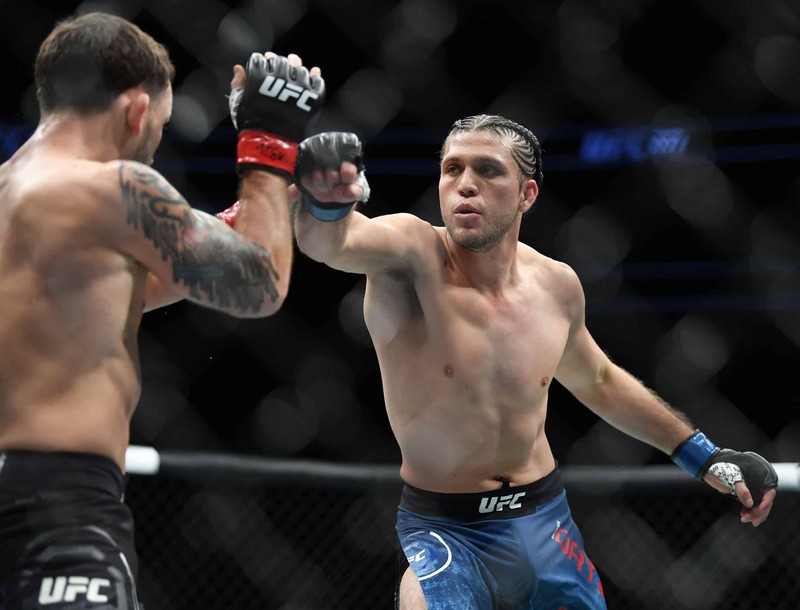 Brian Ortega was none too pleased by the conversation he and UFC president Dana White last week, a conversation that Ortega believed would leave him without any type of compensation for his efforts leading up to the PPV. Ortega was set to challenge Max Holloway at UFC 226 for the featherweight title, a fight many believed is the best match-up the 145-pound division has ever seen. Holloway was preemptively removed from the title fight for demonstrating concussion-like symptoms. The 27-year-old Brazilian jiu-jitsu ace voiced his concerns about not getting paid on several social media platforms. However, it appears that Ortega has now been compensated, at some level at least, according to what he told Pheonix Carnevale backstage at a Legacy Fighting Alliance show Friday. Ortega went on to say that he would have no issues what so ever fighting Jeremy Stephens, a fight that he flat-out refused in a last-minute scramble at UFC 226, provided it was for a title. Ideally, Ortega would like to challenge a healthy Holloway for the featherweight title, but given the health issues of the champion this year, that fight seems light years away.